A pocket-friendly property near Candolim Beach. OYO 1044 Poornima Guest House is a good value for money option located at Indias premier beach destination, Goa. For any kind of assistance you need in relation to your stay, our skilled and friendly staff is just a call away. 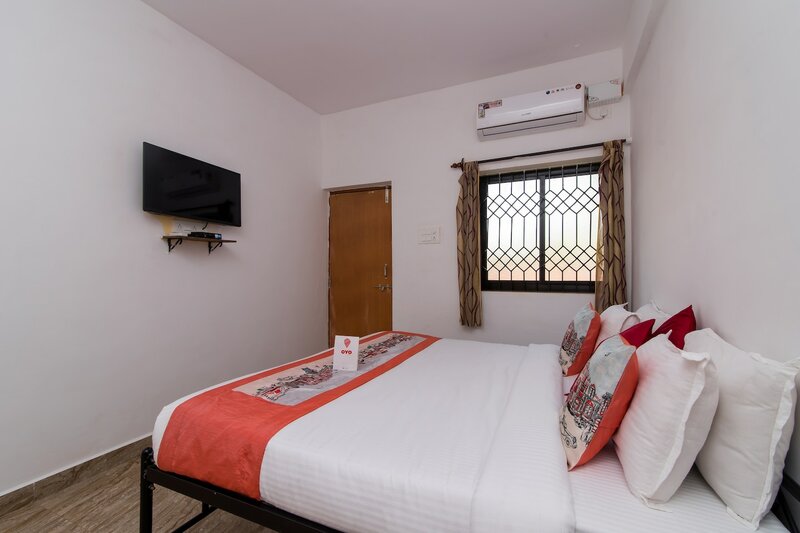 Designed per the needs of a contemporary traveller, you can find all the amenities such as AC, Complimentary Veg Breakfast, Geyser to your comfort. Do not fret if you run out of cash. Theres IndusInd Bank ATM - Candolim - Goa, Axis Bank ATM and Axis Bank located at a short distance. Make memories in Goa, while you enjoy a welcoming stay at OYO 1044 Poornima Guest House.